Evergreen shrubs and trees make excellent container plants for a deck or patio. Usually small or dwarf varieties are chosen for containers so they don't become too big to be managed. Container evergreens can be used as accent plants for container gardens or as a centerpiece in a pot full of annual flowers. Two similar and well-manicured container shrubs on either side of a door or window can look stunning. Meyer lemons (Citrus x meyeri) are a Chinese dwarf hybrid of a lemon and another citrus, most likely an orange, and were first imported to the United States in 1908. They have been widely cultivated as evergreen container plants in China for several generations and are often used as bonsai subjects. 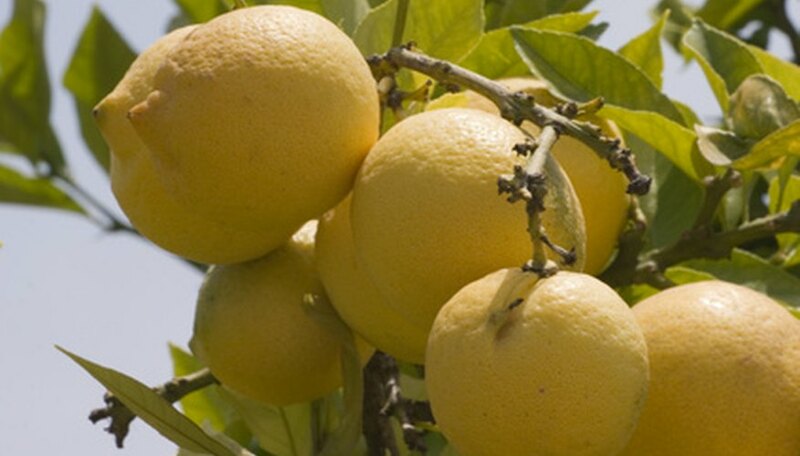 They produce full-sized lemons that taste slightly sweeter than a regular lemon and are a little more orange-colored. Without pruning, they can reach 6 to 10 feet tall. Container-grown Meyer lemons can be grown outdoors during the warmer months but need to be brought inside when there is a threat of a freeze. They prefer full sun to light shade outdoors and bright indirect light indoors. Plant them in a rich, well-draining soil. Let the top of the soil dry slightly before watering. Mugo pines (Pinus mugo) are dwarf, slow-growing, tough evergreen conifers that make excellent container plants for patios. They are cold hardy to minus 50 degrees, or U.S. Department of Agriculture plant hardiness zone 2, and do well in many types of soil, provided it drains well. 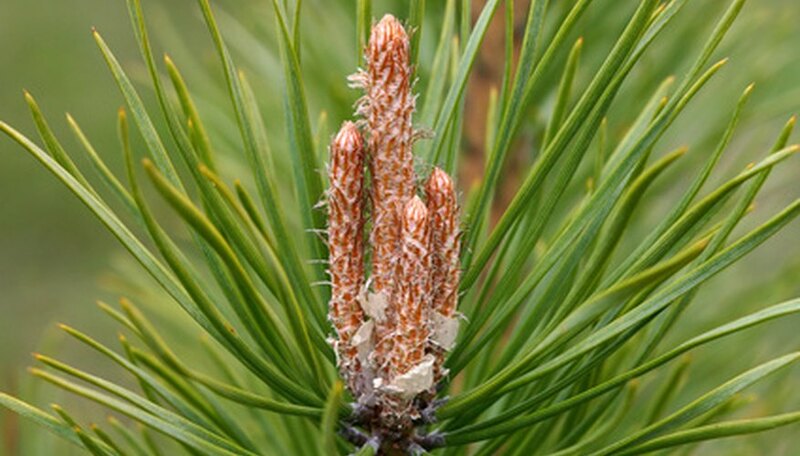 They are one of the classic pine trees used for bonsai because of their compact, shrub-like habit and ease of care. Several dwarf cultivars such as Mops and Slowmound stay under 3 feet tall and make an excellent choice for containers. Larger varieties such as mugo and pumilio should be avoided because they tend to require a lot of pruning or they will grow very large. Place container-grown mugo pines in full sun to part shade. They like a loose soil, but they are not picky. Water them only when the top few inches of soil have dried out. Pruning and shaping is best done by pinching the new growth off the ends in early spring rather than cutting mature wood. Skyrocket juniper (Juniperus virginiana Skyrocket) is a Colorado native evergreen that has silvery-green foliage and turns slightly bronze to brown in the winter. It grows as a tall column, often reaching only 2 feet wide and 15 feet tall. In a container with limited root space it will stay shorter. Skyrocket juniper likes full sun to light shade and is cold hardy to minus 20 degrees, or USDA plant hardiness zone 4. It will grow in almost any type of well-draining soil, even if it is slightly alkaline, but will suffer it remains wet. Water only when the soil has dried out, which may occur only in the heat of summer or if it does not receive any natural rainfall.